Ericson Core has signed on to direct the remake of Point Break for Alcon Entertainment. Like the 1991 original, the remake follows a FBI agent who goes undercover to infiltrate a criminal ring, set in the world of international extreme sports. Core got his start as a cinematographer on the likes of The Fast and the Furious before making his directorial debut with Invincible in 2006. Core will try to follow the career trajectory of Kathryn Bigelow, who launched from Point Break to Oscar win in just under 20 years. Michael DeLuca, John Baldecchi, Chris Taylor, and Kurt Wimmer will produce the remake. Principal photography is set to begin at the end of the year. Hit the jump for the press release with all the details. Known for his cinematography work on the box office success “The Fast and the Furious” for Universal Pictures and “Daredevil” for 20th Century Fox, Core made his directorial debut with Disney’s “Invincible” starring Mark Wahlberg. The Kathryn Bigelow original, starring Keanu Reeves, Patrick Swayze and Gary Busey, was produced by Largo Entertainment and released by Fox. The film went on to become an instant classic and remains beloved by the youth culture around the world. Principal photography is set to begin at the end of the year. Alcon will release through its output deal with Warner Bros.
Alcon principals Kosove and Johnson secured rights to the project from RGM Media, John McMurrick and Chris Taylor in 2011. 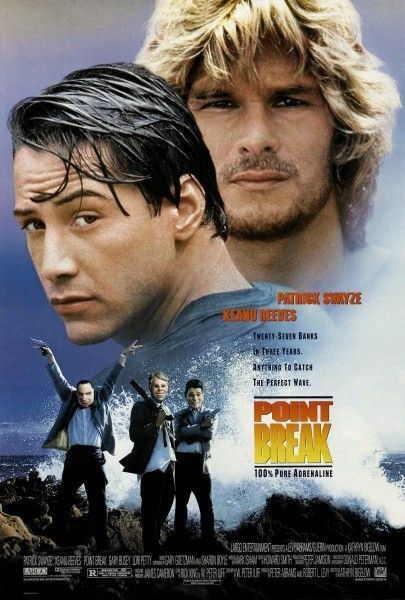 In addition to the feature rights, Alcon has also secured television and gaming rights to POINT BREAK. THE AMERICANS Recap: "Only You"